I’ve been doing a lot of experimenting with skin care these days. It can sometimes be stressful especially for someone with such sensitive skin. I admit that sometimes I’m scared to try new skin care products. What can I say? I’ve been hurt before. But man is it awesome when you find new products that end up working out for you! I love being able to add new products to my skin care routine! 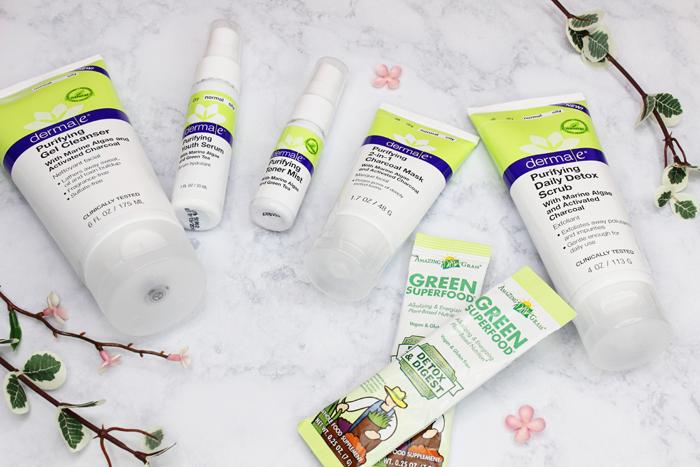 I wasn’t too worried about trying new products from Derma E. I think their more natural approach helped me to really ease into the brand and their products. But I still took my time to use each item that was sent to me to see how I got along with them. Let’s dig into this box of goodies to find out what worked and what didn’t work! 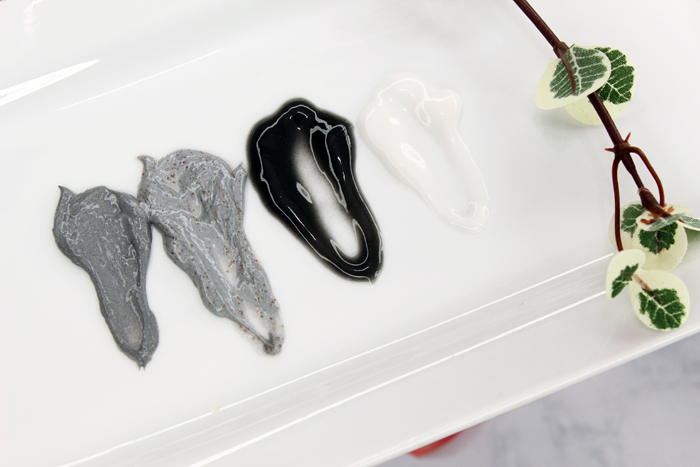 The Purifying 2-in-1 Charcoal Mask is my favorite product of the bunch. It’s a thick, creamy, dark blue(ish) mask that didn’t have much of a scent. It dries down to a lighter blue color within 4-5 minutes. Then you dampen your hands and gently massage your face to activate the exfoliants. It did leave my skin feeling a little tight, but not much. Afterward my skin felt incredibly soft! It was so refreshing! The Purifying Daily Detox Scrub is a really nice exfoliator. Texture wise it reminds me of the 2-in-1 Charcoal Mask, but it’s much lighter and airy. This also didn’t have much of a scent. It was gentle enough on my sensitive skin. Exfoliating always leaves my skin a little red, but once it settled down my skin felt refreshed and appeared brighter. The Purifying Gel Cleanser is a thin, black gel. It’s a little liquidy, but doesn’t run and make a mess. It’s also fragrance free so it doesn’t smell like much of anything. It lathered up really nice and did a great job at washing off my makeup. It didn’t leave my skin feeling tight or dry. I was surprised at how gentle this was on my sensitive skin. Afterward my skin felt very soft. This cleanser is for normal to oily skin, but didn’t negatively affect my oily/combo skin. The Purifying Toner Mist applied nicely straight from the bottle. But it had a bit of a funky scent and it left my skin feeling a bit tacky. I don’t think the toner got along with my sensitive skin much as it left my cheeks pretty red for about an hour or two. However, it didn’t cause any breakouts or anything like that. The Purifying Youth Serum is thin and silky. I did detect a bit of a scent, but it wasn’t bothersome. It’s lightweight and absorbs quickly. A little goes a long way! It’s supposed to shield your skin from environmental and age damage. 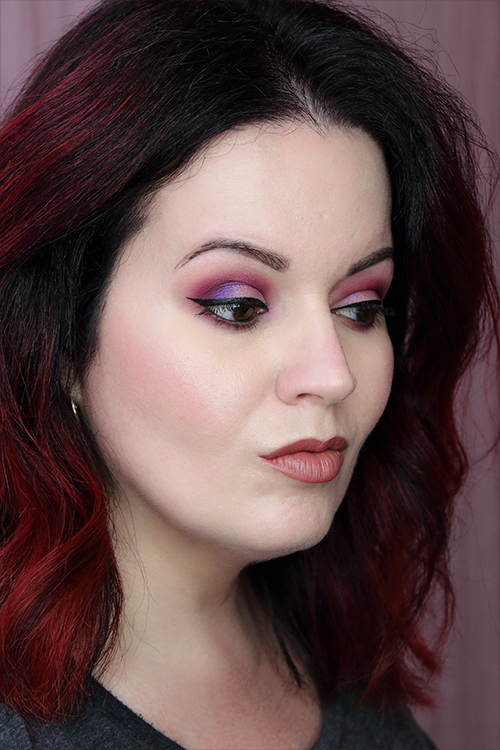 The only differences I see is that my skin doesn’t look as dull. I definitely notice a bit of a glow these days. 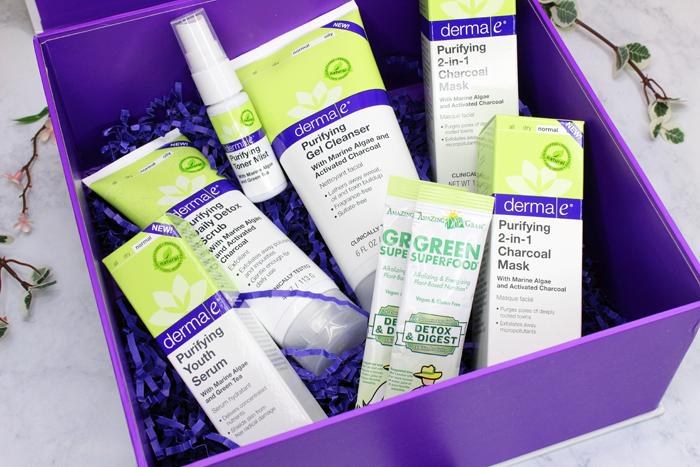 Overall I’d have to say that the Derma E Purifying Collection is rather impressive. I love that the products don’t contain a ton of ingredients, but mostly I love that they are fragrance free. I’m not a big fan of fragrance in my skin care products. I do feel like my skin looks healthier and even a little radiant. I’m going to have to purchase the Purifying Oil-Free Moisturizer because I’d love to see how it works with the rest of the line. Oh! And guess what? Derma E sent me some extras so that I could share with one of you! This giveaway is for one of each of the products mentioned above. That’s five products! This giveaway will run for two weeks and is open internationally. After a winner has been chosen you have one week to respond back or another winner will be chosen. Good luck!